Santosha is a Certified Hypnotherapist and Chemical Dependency Counselor with a BA in Counseling and Creative Arts Therapies. She has completed over 100 hours of training in counseling in fully accredited college programs. She started out as a biofeedback therapist in an HMO. During her 37+ years employed as a counselor in agencies and private practice she’s lectured and led workshops. She has developed an aftercare program for victims of domestic violence, sobriety tool kits (an aftercare program for people in recovery), and the Whole Life Weight Loss Program. She specializes in Weight Loss, Addictions, and Performance Anxiety. Santosha employs multiple therapy techniques including regression with depth hypnosis, stop smoking, weight loss with portion control. She integrates EFT (Emotional Freedom Technique), EMT Eye movement therapy, NLP neuro linguistic programming, kinesiology, and Parts Therapy to help you achieve your greatest healing. All of these methods provide alternative solutions for addictions and clearing stage fright. She has combined, hypnosis, breathe work and guided imagery to create Reimaging for clients and other health care professionals. Reimaging is an integrated guided imagery system (a hard back book with 2 audio programs) to help you completely unwind patterns from all areas of the psyche so they do not regenerate. Santosha is a complimentary wellness provider, healer and emotional coach. She also is an advanced energy and sound healer. 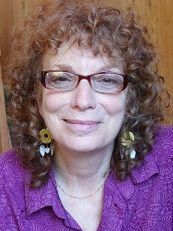 Santosha is considered a very accurate clairvoyant and medical intuitive, as well as being a natural researcher and developer of treatment regimens. She can intuit and teach you techniques to develop your own intuition for making important decisions in your life. Santosha writes about Life Purpose and can help you discover or up level yours. She frequently helps people make decisions on Real Estate, business, and love. She has a strong belief in the power of people to change and heal themselves and their lives, and loves to guide people into the process of talking to their higher selves to seek their own guidance. She currently resides in Monterey, CA and works in person with clients or by Skype or Phone depending on your location and needs. Memberships: National Guild of Hypnotists and member of the International Association of Counselors and Therapists.